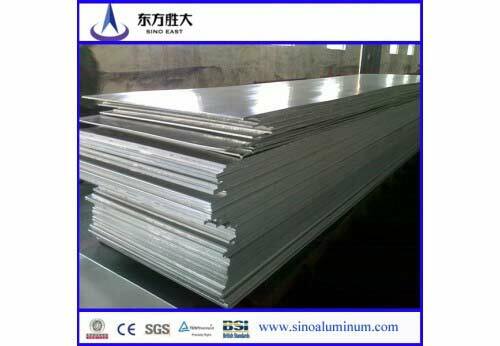 1050 has high weather resistance, good weld ability, good conductivity, lower strength that are widely used in construction, decoration, transportation, cookware, machinery, airplane, and other industries.Sino East supply 1050 cold rolled aluminum sheets with the thickness of 0.200-6.0. It has temper of O, H14, H16, H18, H22, H24, H26. The width is approximately 900-190025-1900. Our workshop is equipped with the device which made by the world's top manufacturer.They can carry out the test such as the product composition analysis, mechanical performance analysis, environmental simulation, heat test, testing analysis, corrosion analysis, project. Sino East is a professional aluminum sheet suppliers that our company had built the quality supervision department and aluminum lab to control the quality of production which will export to other countries.If you are interested in our products,please do not hesitate to contact us at any time!